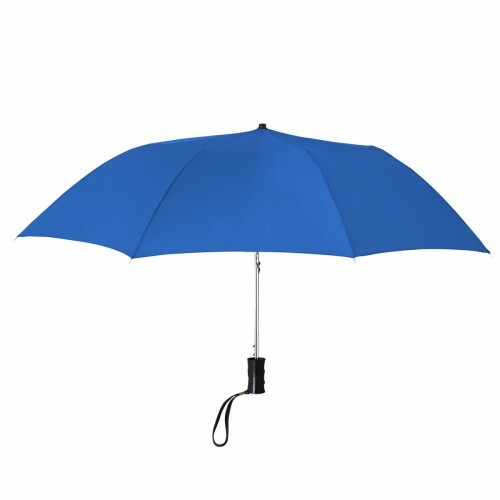 Don’t let a little rain ruin your day! 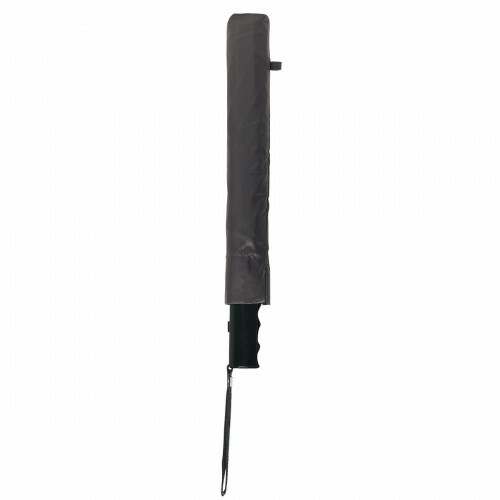 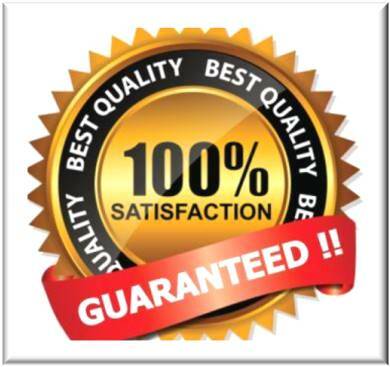 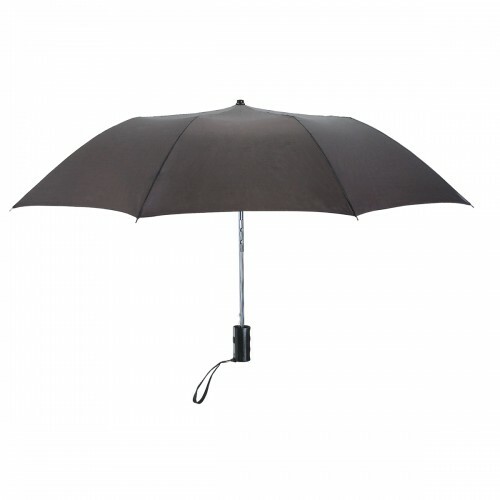 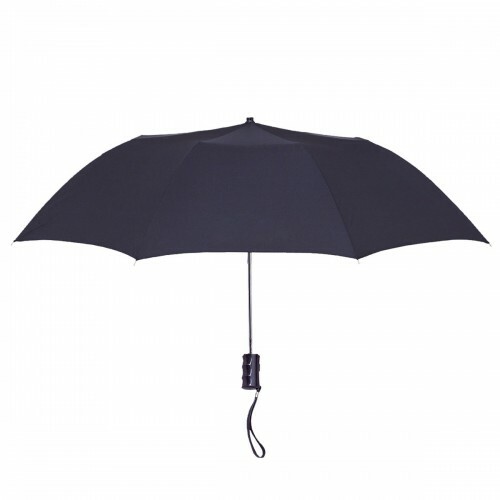 Stay dry while promoting your business with this customized mini umbrella featuring your company logo. 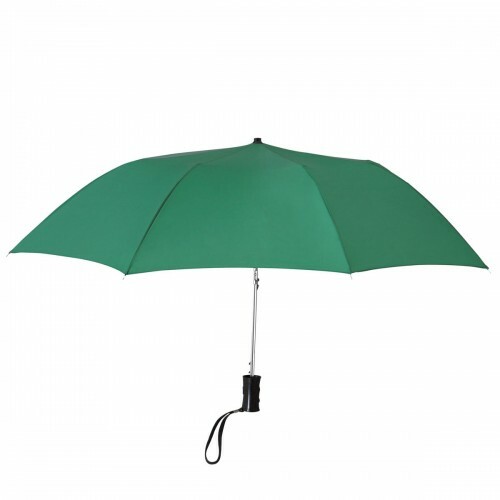 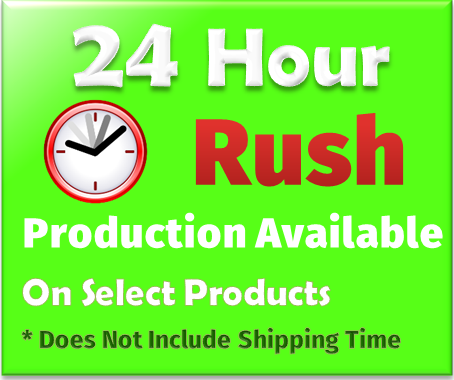 With a 36” arc, this portable automatic open promotional umbrella is wide enough to keep you dry, while folding to a mere 15” so you can keep it in a purse, briefcase or glove compartment so it’s always handy. 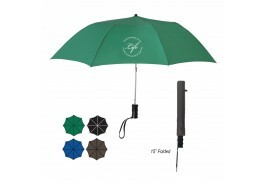 This nylon personalized umbrella comes with a wrist strap for easy carrying, and a matching sleeve for storage. 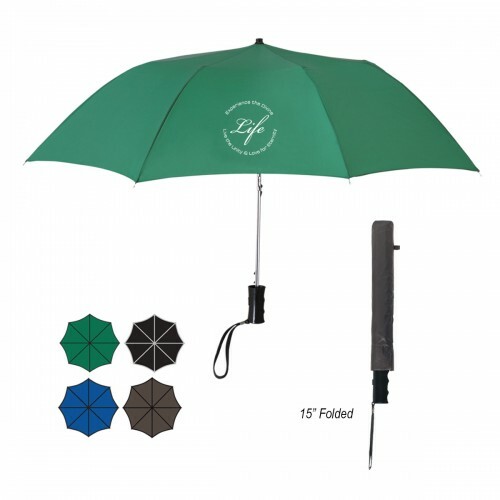 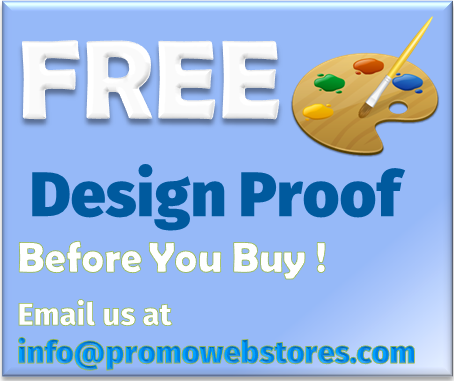 Choose from Black, Blue, Green or Pewter, and along with your logo, you have a walking billboard to promote your products or brand.